Covering the entire value chain of innovative battery and energy storage technologies, ees North America is the ultimate hot spot for energy storage solutions in the U.S. It takes place in the epicenter of the U.S. storage market – California. In 2020, ees North America will move to San Diego’s Convention Center and takes place February 4-6 in co-location with Intersolar North America. ees South America is South America’s New Hot Spot for Batteries & Energy Storage Systems. After two years as special exhibition, ees South America will celebrate its debut as autonomous exhibition in 2019 and will be held in parallel to Intersolar South America in São Paulo, Brazil. ees South America will focus on batteries and electrical energy storage systems and will be part of the exhibition trio The smarter E South America. ees South America will be complemented by the special exhibition Power2Drive South America focusing on mobile energy storage solutions, electric vehicles and charging infrastructure technologies. The contribution of renewables in the electricity and energy sectors is steadily increasing. The future challenge is intelligent integration at the system level: to maintain stability of supply while simultaneously stabilising energy costs. This is an interdisciplinary task, one that will accompany us as a society for years and decades to come. At the iSEnEC – Integration of Sustainable Energy Conference, industry meets research – to encourage and foster mutually beneficial exchanges. 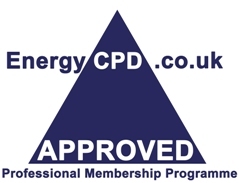 Professionals, speakers and exhibitors from all areas of energy technology come together at this event.